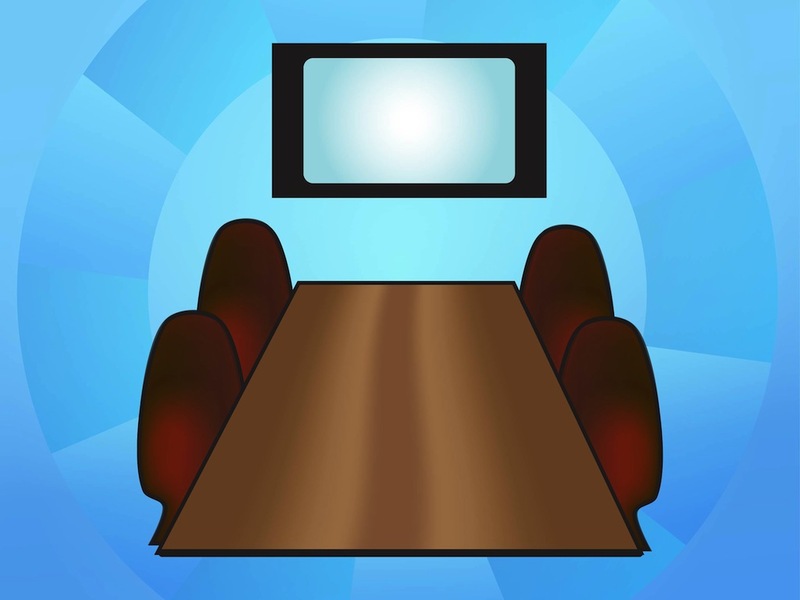 Business vector graphics of an empty conference room. Wooden table seen from a perspective, chairs with rounded seats and dark colors and a TV hanging on the wall. Free vector illustration for all conference, presentation, brainstorming, office, company, career, working and corporate world design projects. Tags: Chairs, Conference Room, Furniture, Monitor, Office, Screen, Table, Tv.